United States – Regardless of Order Size! To provide optimal support for your digestive system and healthy nourishment for your entire body, we recommend taking at least three teaspoons of Siberian pine nut oil daily (with meals or in-between them), with a fourth teaspoon added right after you wake up or at bedtime, if desired. You may also wish to consider our new Siberian pine nut oil capsules, available in 180- and 90-count (please see below). To order a 8.5 oz. 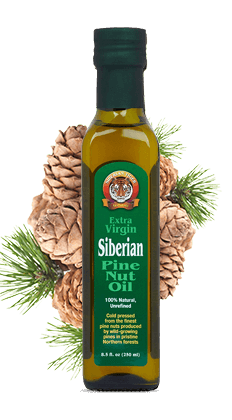 (250 ml) bottle of extra virgin Siberian pine nut oil, press Add to Cart, or call 1(877)739-9925 (toll-free, 9 am to 5 pm Pacific Time). 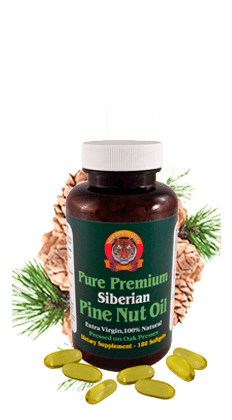 After 15 years of being the leader in the liquid pine nut oil market, we proudly present the first-ever Extra virgin Siberian pine nut oil packaged in easy-to-swallow capsules. The capsules deliver this health-promoting oil exactly where it is needed: to the stomach and the duodenum, without any of it being lost in the mouth and the esophagus, as sometimes happens when taking liquid pine nut oil. Taking pine nut capsules is as easy as taking any other supplement or medication in capsule form. Although pine nut oil has a nutty, mild flavor, some of our customers just don’t like taking oil by the teaspoon – and this product solves the problem quite nicely! Take three (3) softgels thrice daily, with food or in-between meals. If desired, this supplement may also be taken before bedtime. To order Extra virgin Siberian pine nut oil capsules at a special introductory price, press the Add to Cart button located under the desired product size (180- or 90-count), or call 1(877)739-9925 (toll-free, 9 am to 5 pm Pacific Time). 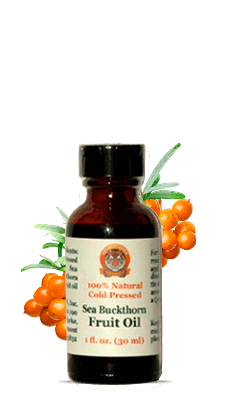 Many and varied traditional therapeutic uses of Sea Buckthorn oil are well documented in Asia and Europe. The most important health-promoting functions attributed to Sea Buckthorn oil in traditional systems of health maintenance and healing are tissue-protecting, soothing, and regenerative. On the contrary, our Siberian Sea Buckthorn oil is produced from select, highest-grade Sea Buckthorn berries grown in a specially designed, eco-friendly Sea Buckthorn orchard. Our Sea Buckthorn berries are picked at the peak of their biological activity and cold-processed mechanically using our proprietary technology without any chemical solvents, refined carrier oils, or carbon dioxide: nothing added, nothing taken away. The resulting oil is truly unmatched in its purity, potency, and overall quality. 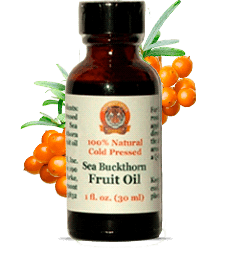 The recommended dosage for Sea Buckthorn oil is 1/2 tsp. thrice daily. So, the 8 oz. bottle will give you a FOUR-WEEK SUPPLY of Sea Buckthorn oil. The 1 oz. bottle will provide enough oil for a quick four-day test to see if this product suits your needs and is also convenient for topical use. 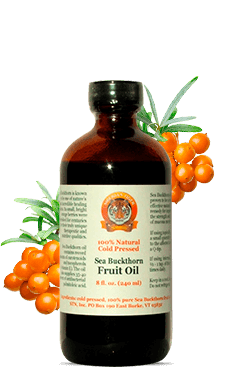 To order our Siberian Sea Buckthorn oil, press the Add to Cart button located under the desired product size (8 oz. or 1 oz. ), or call 1(877)739-9925 (toll-free, 9 am to 5 pm Pacific Time). Camelina seeds produce a golden-colored oil with a delicate, almond-like flavor, containing up to 45 percent of omega-3 alpha-linolenic acid (ALA). In addition to valuable omega-3s, it is very rich in powerful antioxidants, primarily tocopherols. At 110mg/100g, its vitamin E (tocopherol) content is among the highest of all-natural tocopherol sources. The fatty acid composition of Camelina oil is also unique and very beneficial in terms of its health-promoting qualities. While being a rich source of ALA, the oil is highly monounsaturated, naturally supplying more than 30 percent of stable monounsaturated fatty acids. Camelina oil is also relatively low in omega-6 linoleic acid, resulting in a favorable omega-3/omega-6 ratio of up to 3-to-1. This is a very important benefit, since our diets today are usually oversaturated with omega-6 fatty acids and deficient in omega-3s, resulting in a harmful fatty acid imbalance which may have far-reaching negative consequences for health. 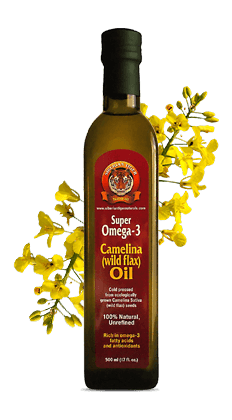 The combination of these important advantages makes Camelina (wild flax) oil one of the most balanced and desirable sources of omega-3 fatty acids. To order a 17 oz. (500 ml) bottle of our Siberian Camelina oil, press Add to Cart, or call 1(877)739-9925 (toll-free, 9 am to 5 pm Pacific Time). money-back guarantee. If you are not fully satisfied, we will issue you a full refund! third parties. You can be confident when you order on our site that your private information is safe.